Summary: A ventriloquist is at the mercy of his vicious dummy while he tries to renew a romance with his high school sweetheart. 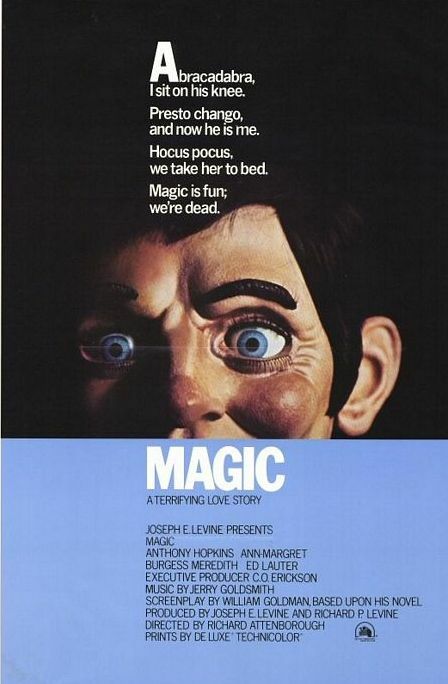 Magic is a 1978 psychological thriller film directed by veteran English thespian and filmmaker, Richard Attenborough. The film is an adaptation of a 1976 novel of the same name by William Goldman, who has also written the movie’s screenplay. Magic stars Anthony Hopkins, Ann-Margret, and Burgess Meredith in key roles. It presents the tale of a shy, mercurial illusionist named Charles "Corky" Withers. Corky, following an abysmal show at the start of his career as a professional magician, suddenly starts experiencing a remarkable turnaround when he adds a whole new trick to his repertoire. 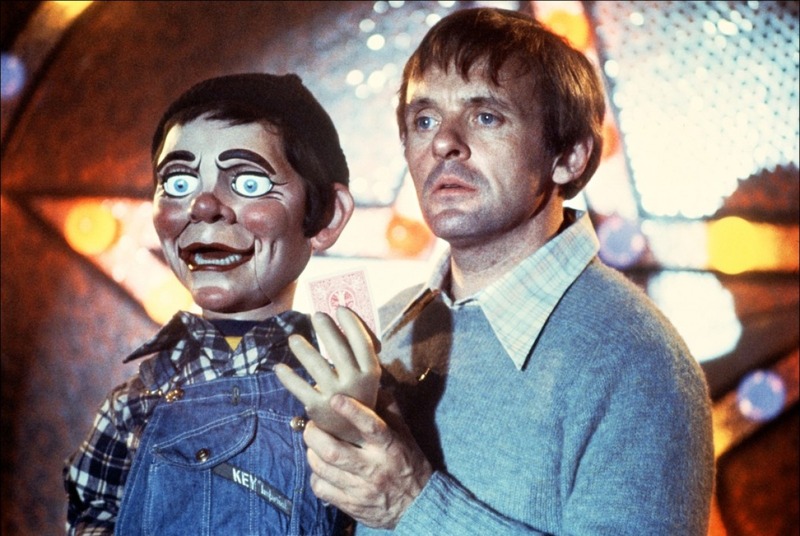 The trick revolves around Corky’s sublime improvisation wherein he uses a ventriloquist’s dummy—the foul-mouthed “Fats”—to perform his on-stage acts in order to transfix his audience. Fats’ enigmatic presence also gives Corky the leeway to distract the keen-eyed audience members—something that every illusionist desperately requires and thrives upon. Ventriloquism is no easy art to master in itself, but the very thought of seamlessly blending it with prestidigitation not only sounds daunting but also nigh impossible. But, Corky is up to the challenge. He is obsessed about developing a show business gimmick for himself, a valuable advice given to him by his aging mentor. Corky's ventriloquist act is an instant success. Corky suddenly finds himself at height of his fame, and probably a single-step away from becoming an American icon. 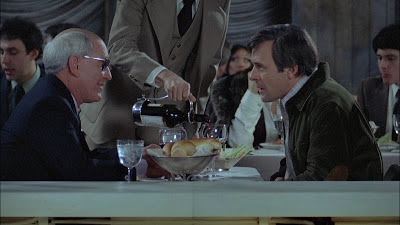 His resourceful agent Ben Greene (Burgess Meredith) is on the verge of finalizing a lucrative television deal for Corky. But, there is more to it than meets the eye. Apparently, Corky's dummy “Fats” has developed a mind of its own and has started to act of its own accord. And Corky is having a tough time keeping his alter ego under check. He must learn to control it before it's too late. Corky is not completely oblivious of his ever growing problems and can sniff the impending doom. But, what is it actually? A ghost? A doppelgänger? Or, something far more intimate? As a last resort, he retires into the solitude of the countryside where he unites with his childhood sweetheart Peggy (Ann-Margret). But, will Corky find his solace or meet his doom? Magic is an exceptional work of cinema that has much to offer to the viewer who is willing to indulge at different levels. Attenborough and Goldman conjure up a nightmarish world that grows creepier with every passing moment. Slowly but relentlessly, the viewer is sucked into the eerie world of endless uncertainties wherein he must come face to face with his deepest fears and innermost desires before being plunged into a psychological maelstrom of varied emotions. Magic is indeed magical! 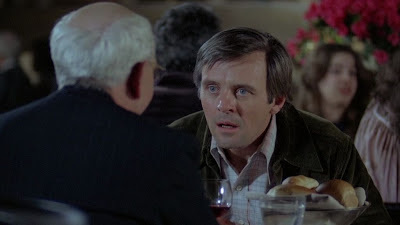 And it’s the dream-like director-actor pairing of two great English thespians, Richard Attenborough and Anthony Hopkins, which lifts the film above the other cinematic products of its kind. 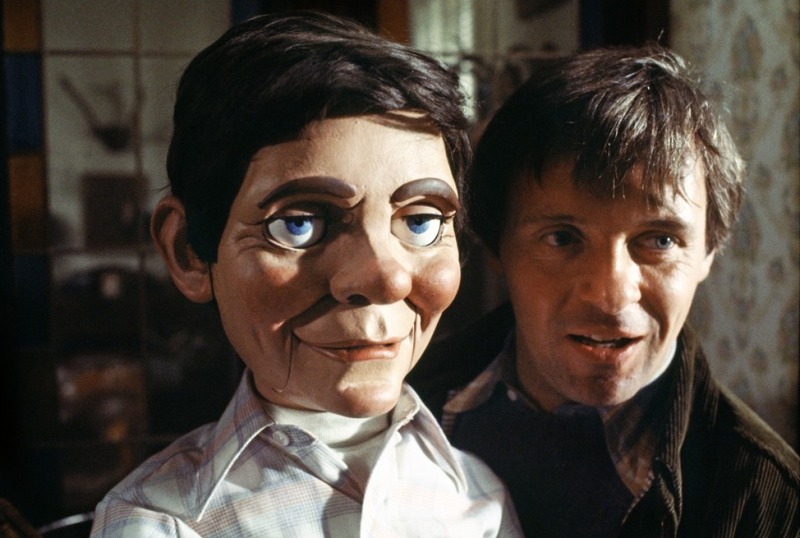 It’s Hopkins' sublime portrayal (the distinct voice of the dummy is a real treat) that makes Magic an experience of a lifetime. Ann-Margret is alluring in the role of Peggy Ann Snow. 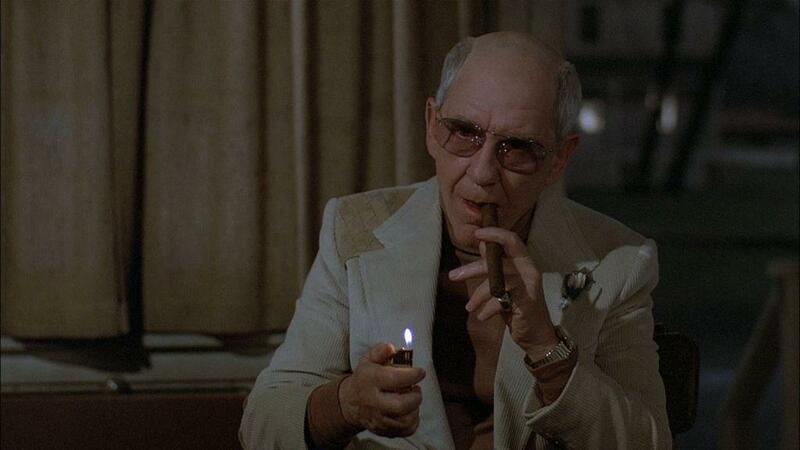 And Burgess Meredith virtually steals every scene that he is a part of. 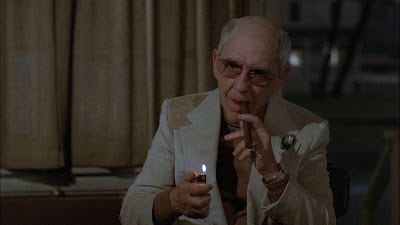 This is unarguably Meredith's best screen performance ever, with a near second being his portrayal of Mickey Goldmill (Rocky Balboa's trainer) in the "Rocky film series". While the direction and acting is commendable to say the least, film’s editing and cinematography is also top-notch, especially for a low-budget film. Overall, Magic despite its flaws serves to be a top-notch psychological thriller. While Magic can quite easily be described as the best directorial work of Richard Attenborough (superior in comparison to his more accomplished works like Gandhi, A Bridge Too Far, Chaplin, etc. ), it wouldn’t be farfetched to deem Hopkins’ portrayal of Corky as his best ever too. 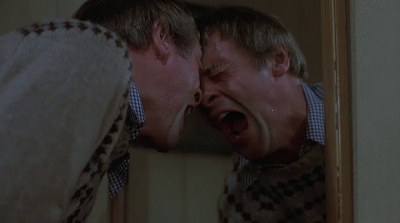 A comparison between Lecter and Corky is inevitable, for both the characters lie on the brink of insanity. Hopkins’ iconic portrayal of Hannibal Lecter (The Silence of the Lambs, Hannibal, and Red Dragon) may have elevated him to apotheosis, but Hopkins’ Corky has a sense of vulnerability that makes it appear far more realistic: while the Lecter can control his insanity, Corky is always at the mercy of his vicious alter ego. There are certain sequences in the movie that will stay with the viewer for ever. The movie’s highlight is the scene between Hopkins and Meredith, where Greene gives Corky a chance to prove that the latter is mentally sound and stable. 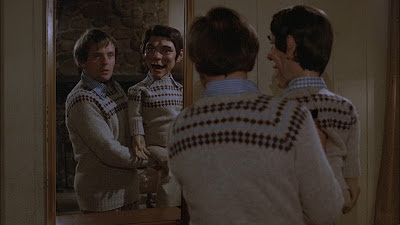 A near second is the scene in which Cocky practices his ventriloquism in front of the mirror. 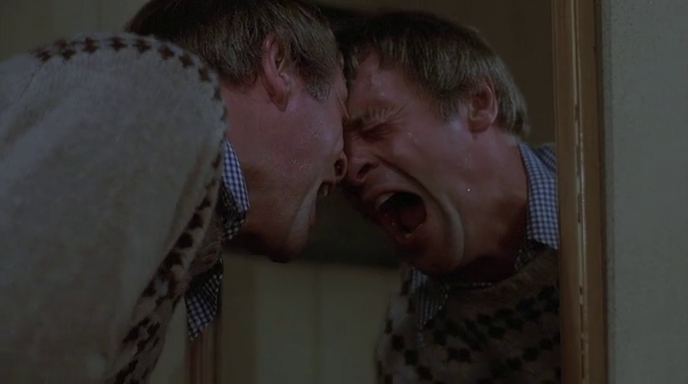 Then there are the movie’s chilling knifing sequences. Magic thrills, excites, frightens, but the bottom-line is that it entertains beyond the usual expectations of an average viewer. A must watch! I recently watched this movie based upon your recommendation in FB. First-class performance from Hopkins. I felt the movie was vastly under-rated. Hopkins' conversation with Meredith was really chilling. The ending was a bit unexpected, but a perfect one. I am really glad to hear that. 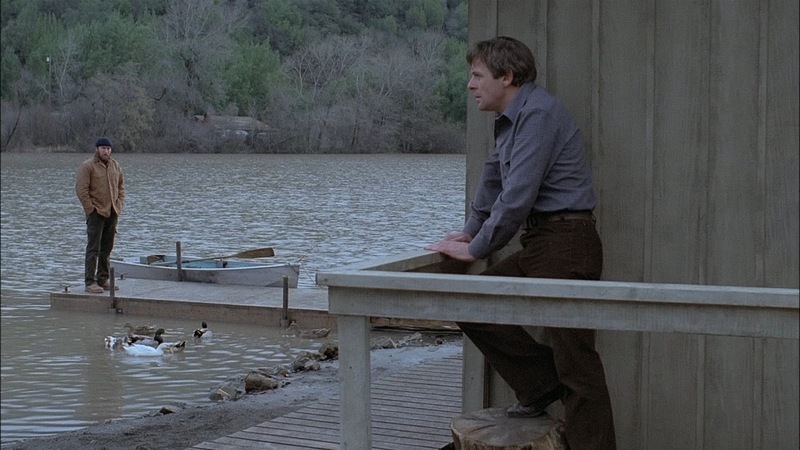 It's a pity that the movie is so under-rated and sadly the same can be said of Hopkins' breathtaking performance. I have heard great things about the novel that it is based upon... would love to get my hands on it. A magnificent piece of work, superb in every department. Certainly one of the very finest horror films ever made.